The growing hostility between Egypt and the Palestinian group Hamas, especially following an Egyptian court’s verdict that listed Hamas as a terrorist organization, has placed other Palestinian players in the limelight, particularly the Gaza-based Islamic Jihad movement and the exiled political leader and Gaza native, Mohammad Dahlan. A few days after the court verdict, a delegation from Islamic Jihad, including the group’s Secretary-General, Ramadan Shallah, and his deputy, Ziyad Al-Nakhalah, arrived in Cairo to meet with the head of Egypt’s General Intelligence Agency, Major General Khaled Fawzi. According to Egypt’s semi-official al-Ahram newspaper, Islamic Jihad has shown more flexibility in dealing with Cairo than Hamas has. Indeed, as I wrote last August, Islamic Jihad has managed to maintain a relatively good relationship with Egypt’s President Sisi. Islamic Jihad played an important role in the Cairo mediations that ultimately led to the Gaza ceasefire agreement between the Israeli and Palestinian factions last year. Now the group is positioning itself as a credible broker between Hamas and Egypt. Jihad’s main goal is to prevent any further escalation in animosity between Egypt and Hamas and to open the Rafah crossing Egypt closed last October following a major terrorist attack in Sinai. Islamic Jihad’s mediations seem to have worked. Two interesting moves have followed the delegation’s visit to Cairo: First, Egypt has decided to open the Rafah border temporarily; second, Egypt’s Litigation Authority has appealed the earlier court ruling declaring Hamas a “terrorist” organization. Another interesting player has re-emerged in the Palestinian arena ___ Mahmoud Dahlan, ex-Fatah leader, Gaza’s ex- security chief, and Yasser Arafat’s former advisor, who currently lives in exile in Abu-Dhabi. It is hard to sum up Dahlan in a few lines, but he is a shrewd and ambitious politician. He is everyone’s enemy, but is still willing to deal with everyone. In an interview with Newsweek last week, Dahlan made it clear he was using money and political connections to regain relevance in Gaza. As Hazem Balousha wrote in al-Monitor, Hamas and Dahlan need each other. Dahlan cannot work in Gaza without Hamas approval, while Hamas ___ or at least part of its leadership ___ is willing to accept Dahlan’s increasing “humanitarian” activities in Gaza. Dahlan has claimed credit for the brief opening of the Egyptian-Rafah border crossing in January, saying the move came after he visited Egyptian officials. “The opening of the Rafah crossing to students, patients, Palestinians living abroad, and holders of foreign passport is only a first step in a series of measures adopted by the Egyptian leadership during my recent visit to Egypt,” he wrote on his Facebook page. In another interview last February with France 24, Dahlan said: “The opening of the Rafah border has nothing to do with Hamas. 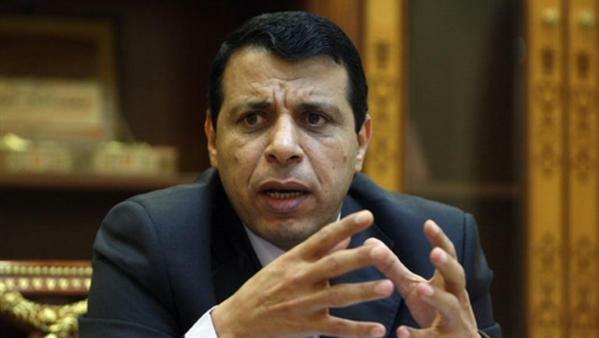 Anyone who can help relieve the misery of the Gazans should go to Egypt and negotiate; those who can’t [clearly referring to Hamas] should keep quiet.” In other words, Dahlan’s aim is to dissociate the Rafah crossing issue from broader inter-Palestinian differences. Smart idea, but unlikely to materialize on the ground. Both Dahlan and Islamic Jihad can succeed in achieving a temporary understanding. However, their abilities to reach sustainable long-term solutions that can ease the pain of Gaza are limited by the three main players who can save Gaza: Hamas, the Palestinian President, Mahmoud Abbas, and Egypt. Another player is Palestinian President Abbas, who seems to be more preoccupied with his own survival, as he fears a plot is being hatched against him, according to Adnan Abu Amer. The Palestinian Authority (PA) has been arresting Hamas activists and partisans of Mohammed Dahlan. For Abbas, securing the West Bank ____ not Gaza____ is his number one priority. For its part, Egypt is playing for time, squeezing Hamas slowly by closing the border and creating a security buffer zone with Gaza. In spite of the closure, Egypt does open the border for short periods occasionally to give mediators access and to avoid international criticism. To sum up, in addition to the main players – Egypt, Hamas, and President Abbas – the Gaza conundrum has two new players: Islamic Jihad and Dahlan. Each has it own agenda and focuses only on its own interests. It is hard to predict how all these maneuvers will work for the people of Gaza, but it seems almost certain that the siege of Gaza will not be eased soon. This entry was posted in Egypt, Gaza, Hamas and tagged Abbas, Egypt, Gaza, IS, ISIS, Islamic Jihad, Israel, Mahmoud Dahlan, Sinai, Terrorism, Turkey. Bookmark the permalink. It’s difficult to understand the fundamentals of such policies. What does Hamas hope to accomplish, and how do they see these policies advancing their interests? 1) Is Hamas is using Sinai as a place to export Gaza’s home-grown ISIS groups, thus preventing them from operating against it? At least’s there’s a logic here, but at tremendous cost incurred – making an enemy not just of the Egyptian state, but sowing long-term seeds of popular Egyptian hostility. Wouldn’t a cheaper option be to simply eliminate these groups? Is Hamas under popular or other constraint to do so? Certainly, it had no such qualms about crushing the Dagmoush clan, routinely knee-capping Fatah activists, and plain executing everyone else who challenged its rule. 2) Is it allowing or even aiding these operations with the aim of destabilizing Sinai, and thus the Sisi regime? That’s very different from a matter of convenience (or even necessity) of exporting the ISIS revolution so that it doesn’t catch fire at home. It would mean that Hamas is at war with the Egyptian state, that it sees itself (and Gaza) as a kind of safe haven and strategic reserve from which to rebuild the Egyptian MB strength and chip away at Egypt’s stability until the right opportunity presents itself. Hard to believe that serious people would nurture such a fanciful vision. 3) Is Hamas playing host to ISIS groups, and the resultant instability of Sinai, as leverage to extract Egyptian concessions on cross-border movement, or even to end Sisi’s anti-MB campaign? If the goals are defined narrowly, like border movement in exchange for hosting ISIS groups, they should have been able to reach an accommodation long ago. Instead, we see a pattern of continued escalation, with no end in sight. It’s possible that all these options and others are woven into Hamas behavior, reflecting the priorities of different factions. Hamas is not monolithic organization, and itself sometimes seems tangled in crisscrossed chains of command. On the other hand, there are clear policies in place, with clear, predictable, and very serious consequences, so it seems foolish to pin all this on “command confusion”. Certainly, if Hamas saw the current policies as counterproductive, and chose to de-escalate and reach an accommodation with the Egyptian state, we would witness vastly different behavior. It seems reasonable to assume that Hamas is in charge, rather than to judge it utterly incapable of managing its own strategic behavior. But, if so, the question remains, what could it possibly hope to achieve? Reading this information So i’m happy to convey that I’ve an incredibly excellent uncanny feeling I came upon exactly what I needed. I most surely will make sure to don?t overlook this site and give it a look regularly.